+ a trip to Epernay – the heart of the Champagne region of France. + boarding the eurostar on friday morning bound for paris with our friends Paul & Hannah. + train breakfast (croissants filled with bacon, avocado, lettuce cheese & a lovely bottle of english bubbly wine). + dumping our bags at our lovely accommodation (found through AirBNB). + before Hannah and I went out looking for some champagne and nibbles, whilst the boys sat around in the sun. 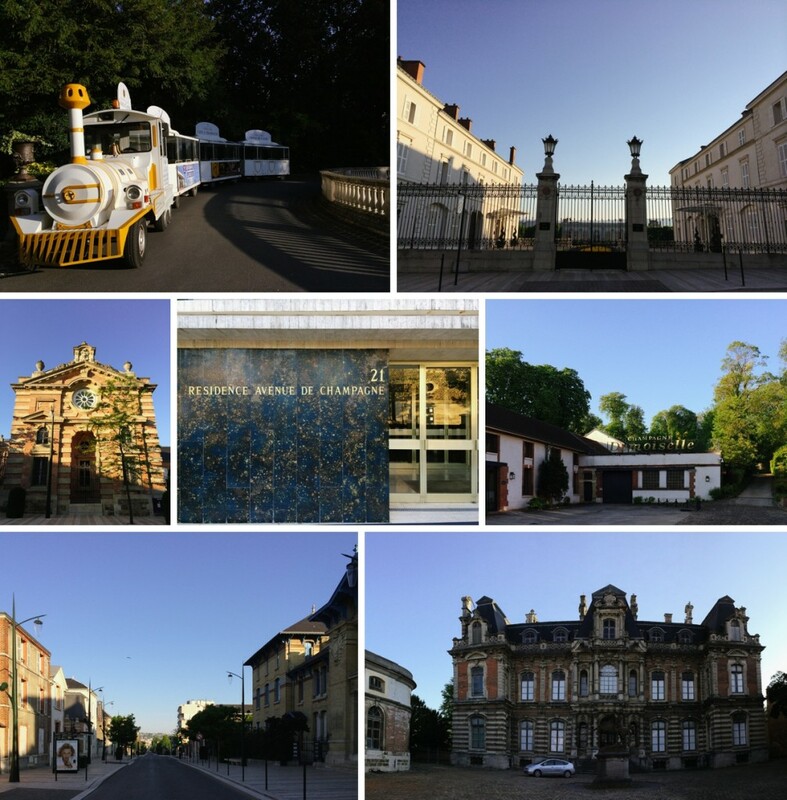 + visiting C Comme champagne cellars and being overwhelmed by choice, as well as not having much of a clue of what anything was. grabbing four demi (half) bottles of champagne to try. + then going to La Cloche à Fromage for some cheeses, and a great boulangerie for some breads. 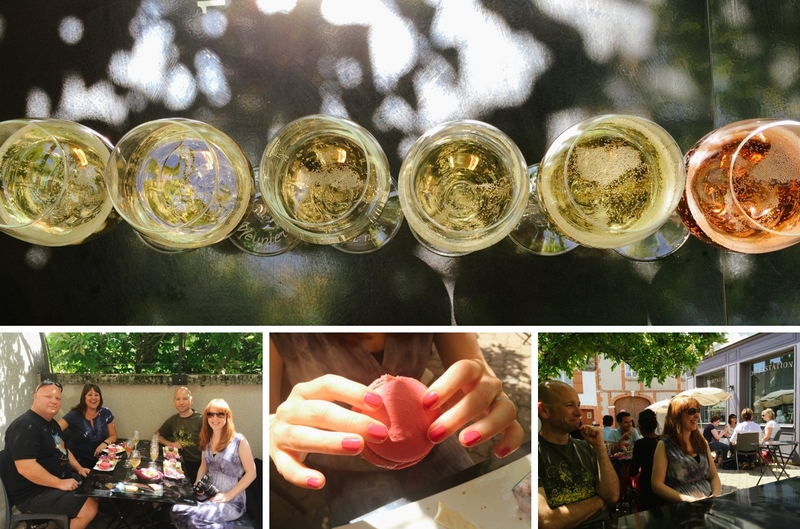 + a lovely afternoon in the sun, trying the champagnes we’d bought, comparing the flavours and deciding which ones we liked. + then dinner at La Fine Bulle where the menu is all in French and we muddle through it with Hannah’s help. I try a winemakers salad – with Canard (duck) three different ways. + a whisper of time to myself after a dreadful nights sleep. waking up ready to howl and rage, walking it off while most of the town slept (including my travel companions). 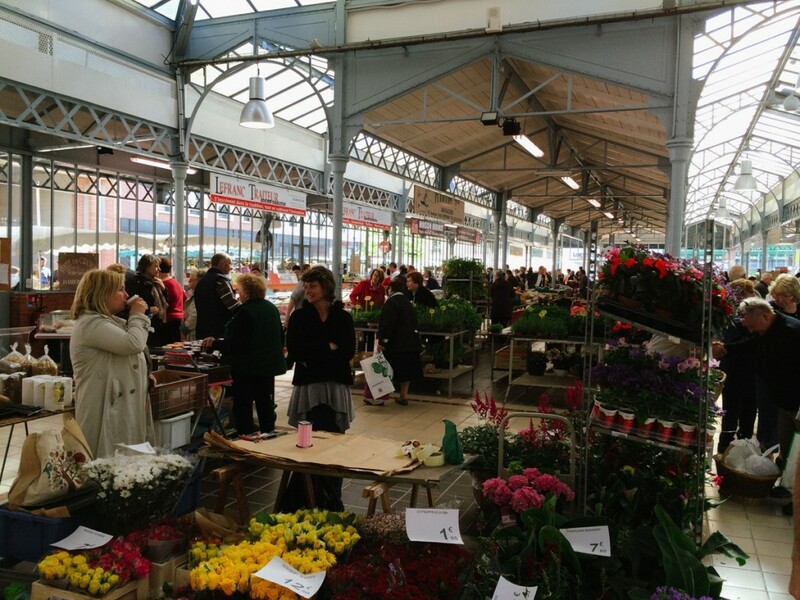 + then the four of us checking out the covered market, before grabbing pastries for breakfast. 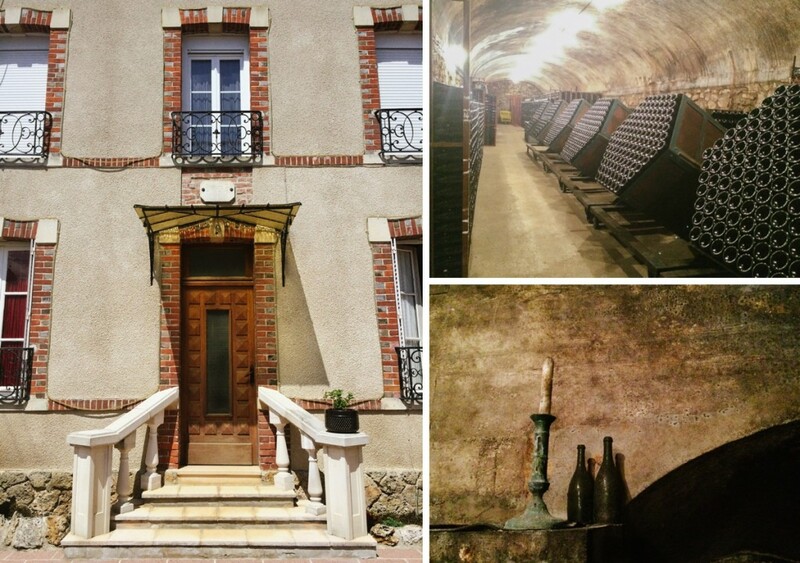 + a trip to the cellars at Castellane, where our Champagne education begins. + then a wander up their water tower (photographed earlier that morning from my walk). 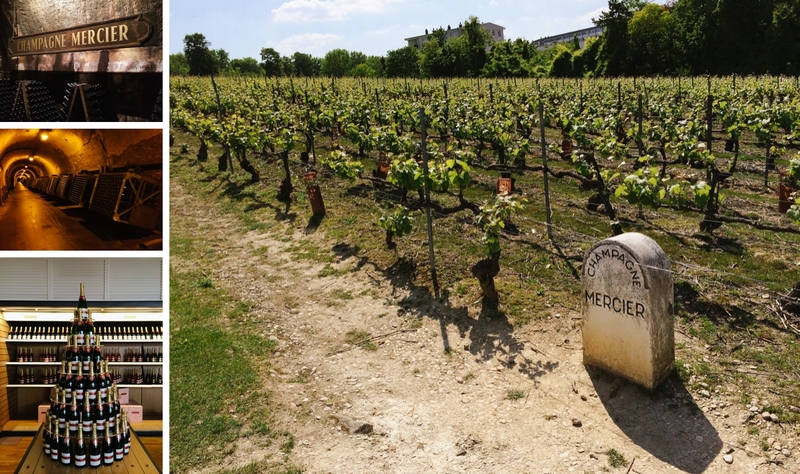 + lunch, then another winery tour – this time at Mercier, whose primary goal was to bring Champagne to the masses; starting with a grand gesture – a barrel that could contain 200,000 bottles of champagne pulled by oxen to the 1889 L’Exposition Universelle (World Fair). The barrel was awarded second prize, trumped by the Eiffel Tower. we take a ride through the caves in a little train – they have over 18km of tunnels underground here. + dinner at Le Théâtre. Another French menu, most of us guessing, all of us ending up with delicious meals. They surprise us with an amuse bouche to start, followed by a salad before our main meals arrive. 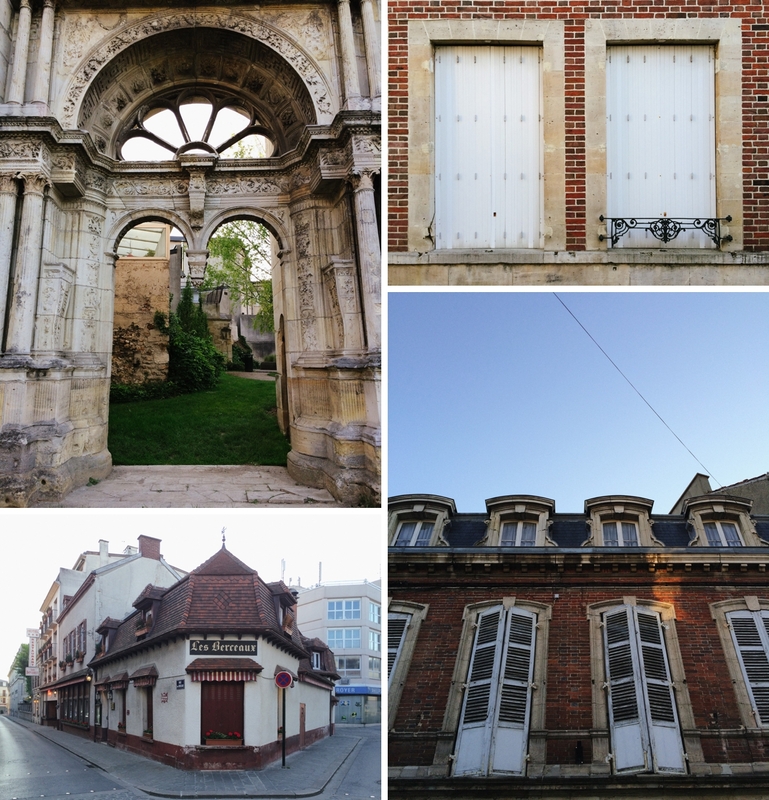 + breakfast at the apartment on Sunday, before meeting up with Isabelle… She runs private tours in the Champagne region (and I’d highly recommend her if you ever visit the region). this is when I learned the most about the region, the grapes, the high standards and rules that the growers and makers have to meet in order to call their product Champagne. more on what I learned in another post perhaps. + we visit J Charpentier, a small independent producer (they don’t buy or sell grapes, they just use what they grow to produce their Champagnes). 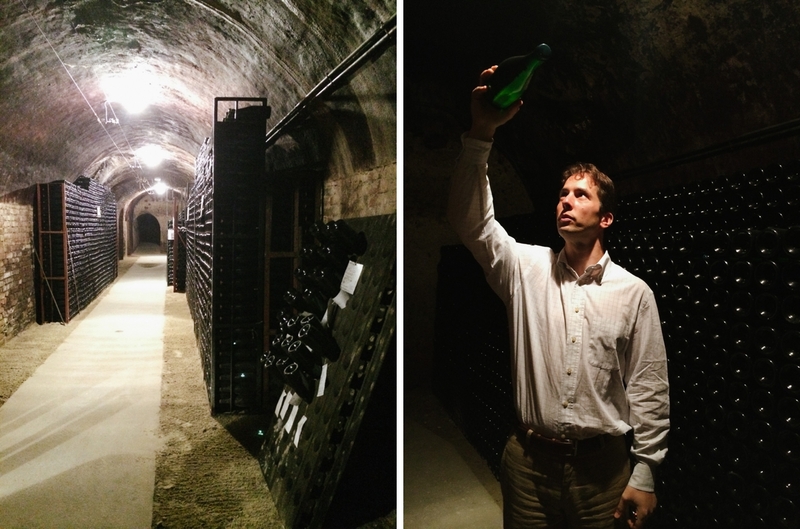 we get a tour of the production areas and are told in depth about the Champagne making process using modern methods. + then we visit another small producer – Champagne Fernand Lemaire – this one in the village of Hautvillers, where Dom Perignon (the father of Champagne) lived, and see some of the more traditional methods for making Champagne, including a press that’s been in use for more than 100 years. + lunch today is at Au 36. We have a degustation (tasting) plate, paired with six glasses of Champagne per couple. It’s a fabulous meal, full of locally made delicacies including giant pink macaroons made specially for them using a secret recipe. Nic and I like one of the wines we try so much that we buy a bottle to take home to nz. 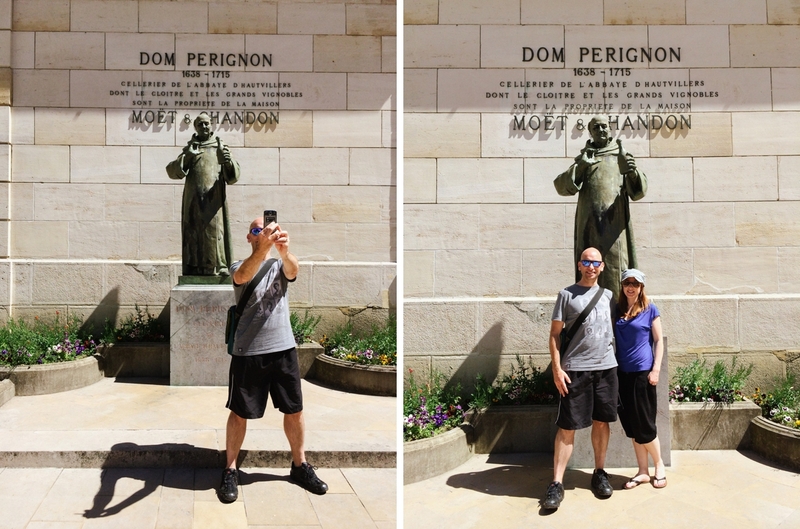 + totally full now, with heads full of fizz and warmed by the sunshine, we head to the Abbey of Dom Perignon. Isabelle tells us some of his story – amazing what a little curiosity and some persistence will result in! 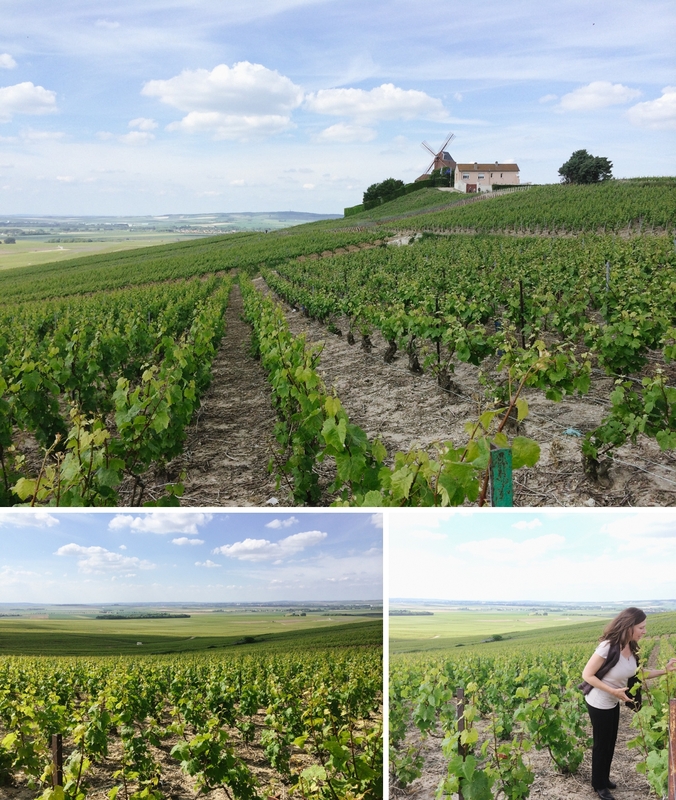 + then it’s off to the next place, via an amazing view across the vines and down into the Marne valley and a wee look at the last remaining windmill in the region. + we end our tasting/tour day at Ernest Remy in a Grand Cru. this is my favourite of the day; the winemaker is a young guy who is making exceptional Champagnes. he’s also hilarious and takes us on a tour of their facilities, finishing (of course) with more tastings. by now, our palettes are fairly confused, but Nic and I agree that his Blanc de Noirs (100% Pinot Noir) Champagne is our favourite of the day. + Isabelle drops us back at our apartment and we quickly change and head out for dinner again. La Banque is the first place we’ve been given English menus and i’m half disappointed about this. Our meals are huge and delicious, though I preferred last night’s meal to this one. + Monday morning we wander down to the information centre and they book us a boat at blue nautic. it’s about a 20 minute walk and the day is already hot, but the walk is totally worth it – we climb into our little electric boat with a bottle of champagne, and make our way slowly down the river and back again with Nic (Cap’n Mal) doing donuts under the bridge at the halfway point. + after lunch we visit the cellars at Moët and Chandon and I’m glad of all the little places we visited the previous day. 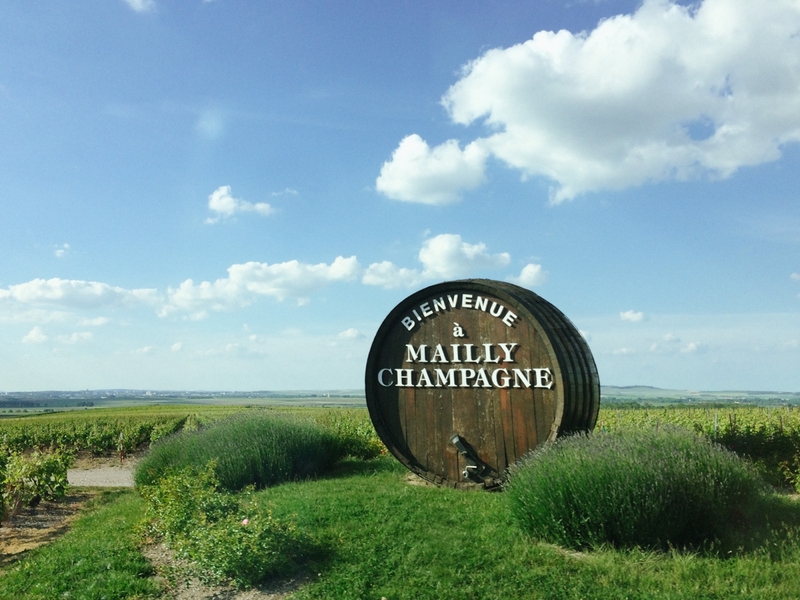 compared to the small producers, Moët feels like a Champagne factory. we get very little information about the production, they won’t answer any questions concerning numbers and we don’t get to see any of the action. it feels like a slick marketing spiel rather than an introduction to Champagne. 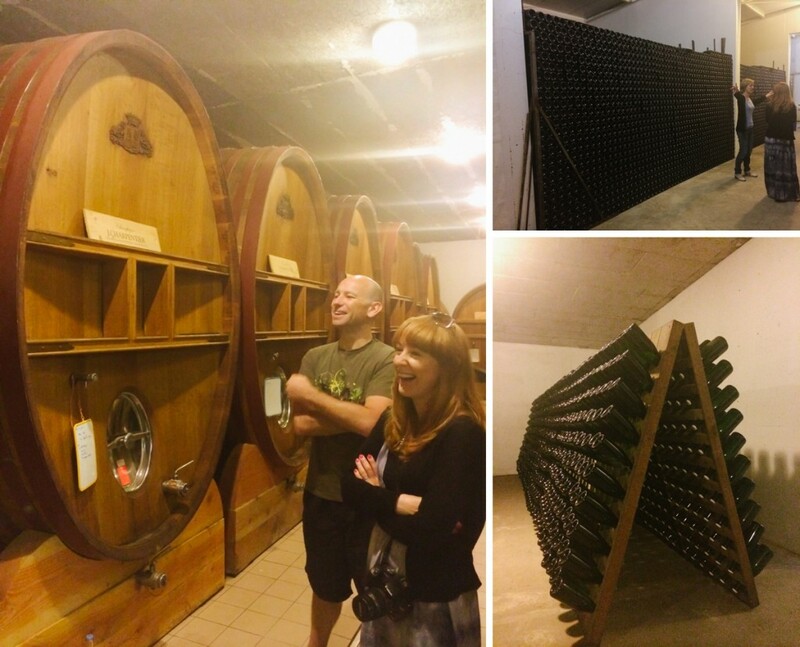 it’s still interesting, but it was my least favourite visit and – if i ever found myself in the region again – i’d stick to the small producers as it’s a more pleasant and intimate experience. + we have a little time left before our train back to Paris / London, so the four of us go back to C Comme – the place Hannah and I visited when we first arrived. Armed with our new learnings about Champagne, we each choose a demi for the train journey home, along with a bottle of our favourite one from the first day – to see if we still liked it now we know a little more. + we all conclude that it is actually possible to reach a limit for Champagne, even whilst still sober enough to walk in a straight line. it still feels to me like something to be savoured rather than quaffed, a deliciously effervescent and surprising drink to be enjoyed during special occasions. 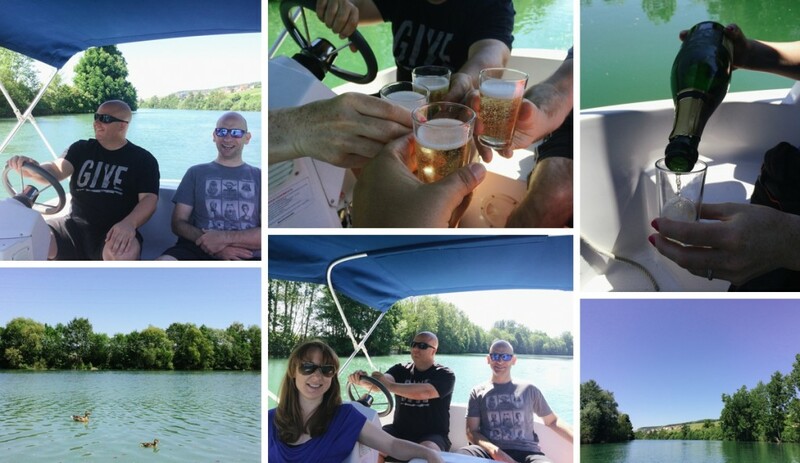 This entry was posted in europe, travel and tagged france, weekending. Bookmark the permalink.